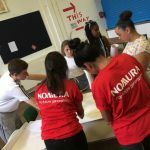 As part of Macquarie’s supported volunteer programme we work directly with schools and colleges in Islington through our partnership with the BIG Alliance (Businesses for Islington Giving) enabling staff to mentor young people from Year 10 and Year 12. 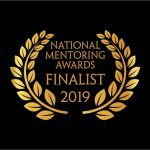 We have been partnering with Mentoring Works for ten years. 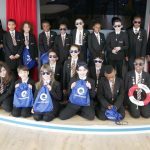 We began our relationship with Cardinal Pole School in Hackney, mentoring Year 10 and 12 students. 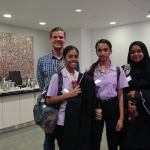 In 2012 when Macquarie moved offices into Islington and became the founder funder of the BIG Alliance (businesses for Islington Giving) we turned our focus towards the borough where our attention to supporting schools in Islington. 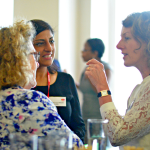 Since launching the programme over 550 students in Islington and Hackney, many of whom are girls, have been supported by over 350 Macquarie volunteers. After a successful pilot project in 2012 with Elizabeth Garrett Anderson Girls School we started a three year partnership with the school. 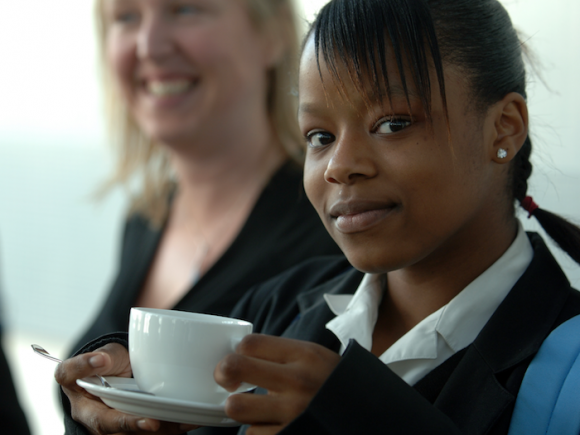 Since launch, 6 other businesses and schools have joined us and Mentoring Works in Islington. We have subsequently rolled out the Mentoring Works Year 12 programme, working with City and Islington College. Why has this been successful with our staff? For the following reasons: the programme is a year long, during this time relationships have the chance to grow and then last. It’s a diverse programme of engagement. It has a real, meaningful impact. It helps to develop skills for our staff. 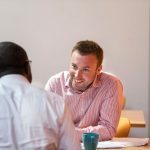 Lorijent Lamce first found himself walking through the doors of Macquarie’s London offices in 2006 when, as a 14 year old GCSE student from Cardinal Pole School, he came to meet his business mentor. The two had signed up and been matched through ELBA’s Mentoring Works Hackney programme, committing them to a year of fortnightly meetings where they’d work on developing Lorijent’s career aspirations, employability skills and confidence, amongst others. Six years on, Lorijent, was then a second year Law student at LSE, has found himself back in the fold at Macquarie, but this time to undertake a nine week work placement across his summer break. “I got back in touch with my mentor when I wanted to apply for the placement”, explains Lorijent, “he helped me with my application and gave me pointers on what they might be looking for.Lorijent competed with a number of others and undertook a series of one to one interviews and psychometric and reasoning tests, to win the placement, working in the Compliance department, which, as the legal arm of the finance industry, is the perfect fit for law student Lorijent. Just a few weeks in and Lorijent already felt he’d learnt a lot at Macquarie, particularly all the terminology that goes hand and hand with the job. Furthermore he explains what a big part mentoring plays within City life, “I had mentors in the past, teachers who were inspirational, but it didn’t stop there. My senior bosses at work have been my mentors and I have seen how your future progression can be shaped by having a mentor – a senior sponsor. I owe a lot of what I’ve been able to achieve in my career to my mentor”. 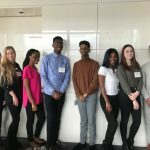 So Lorijent Lamce, Macquarie mentee to Macquarie employee in just seven years who then signed up to pay it forward and joined the Year 12 programme and set about mentoring a student from Cardinal Pole School in the 2013 cohort. After three years at Macquarie Lorijent moved in early 2016 to Goldman Sachs, he’s still in touch with his mentee who has just completed his first year at university with a 2:1. “We’re delighted to see Rhys has taken up this opportunity to volunteer, sharing his own career story with the young people in the Hackney community. It is an excellent example of the type of event that Alexander Ash Consulting will continue to support and enjoy getting involved with”.  For further information about similar opportunities, please contact Ben Fowler, Community Works Project Manager: ben.fowler@elba-1.org.uk.